This fresh gel transforms into a silky foam to gently shave all types of beards. 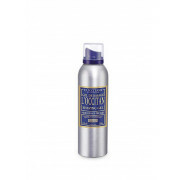 It guarantees optimal protection against the risks of cuts, avoids the irritations and dryness, leaving the skin soft and lightly scented with the spicy L'OCCITAN scent. Dermatologically tested.